In this tour, you will visit popular sightseeing spots in the centre of Okinawa. 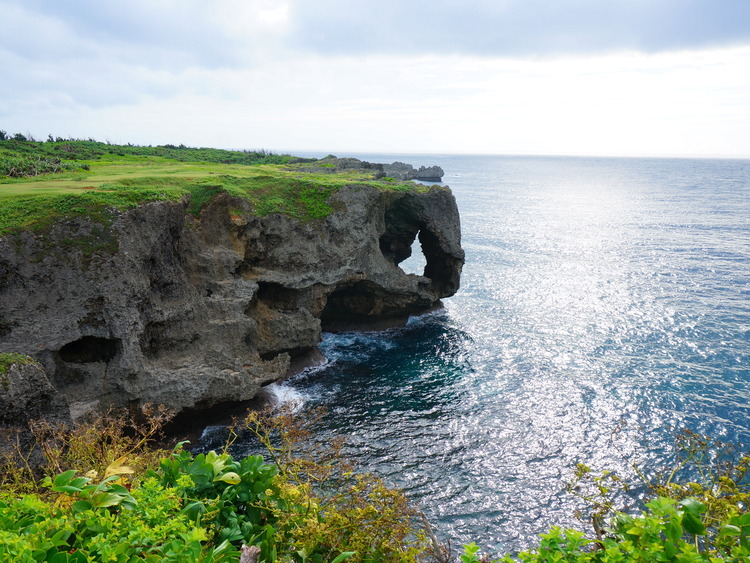 At first, Manzamou Cape is the name of the coral reef cliff and this name was appointed by the Ryukyu King Sho Kei. Once upon a time, when the king happened to visit this cliff, he was stunned by its scenery and insisted that “the Cliff has a space for thousands of citizens”. Thus the name “Manzamou” was appointed as “Man” means thousands in Japanese. This spot was designated as one of Okinwa’s most scentic spot, and offers fabulous views of the emerald blue Ocean of Okinawa. Afterward, you will visit Ryukyu Mura Village. Ryukyu Mura is a model village that has been built in the park. This Village gives flavor to the old time Okinawan life style. There are original Okinawan style houses that have been collected from various places in Okinawa. There are definitely many attractions to enjoy in Ryukyu Mura that is in the top 10 rankings Visitor Attractions. After leaving Ryukyumura Village, you will have a free time in Kokusai Street. Construction in this area started in 1953 during the turbulent post-war years and it was one of the first busy streets to be developed in Naha. It was known as "Miracle Mile". There are no places to exchanging money, to have Japanese Yen is recommended.